Sometimes we can’t sleep at night. Perhaps we might have other reasons that cause insomnia. Naturally speaking we find a way to sleep easily by taking sleeping pills. 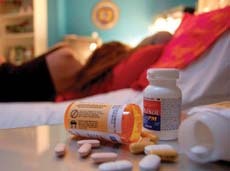 When we start rely on sleeping pills in order to sleep, our health will get more harm than good. There are many people who take sleeping pills without consulting with a doctor. As I said just now, taking sleeping pill without the limit will cause them get addicted and unable to stop taking them. This happens if they lack of knowledge and awareness. 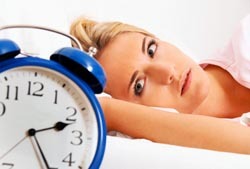 We must aware that taking sleeping pills for a long time causes many problems in our body. Pain in belly, trouble in digestion system, less willingness in eating. Sometimes it causes inflammation in hands, legs and chest. I had read a medical journal recently, a researcher says that taking sleeping pills regular reduces the life expectancy of human. Why? Sleeping pill can cause cancer, kidney stone and many other problems. With these problems, some are incurable. I will suggest everyone not to take sleeping pills frequently. Try some other natural sleeping aid to sleep well at night that I have discussed in my earlier article. But if you have a severe problem, consult with a doctor and then take dose as he/she prescribed to you. Do you take sleeping pill to aid you sleep? What dose have you taken? Who Else Want To Have Better Sleep At Night? We remain busy all day long and do a lot of work. When we back home some of us cannot sleep at night. If I can’t sleep at night, the next day will becomes the worst day of my life. Usually adults need to sleep seven to eight hours a day or else I feel dizzy and occasionally I may suffer with headache. So, here I want to share some tips that can help better sleep at night. Take shower or a bath when you are back home. But remember; take some rest in between these two. Or else it can be detrimental to health. Caffeine reduces tiredness and causes sleeping problem. So, it is better to avoid tea or coffee after evening. Don’t put up any work for bedtime on bed. Turn off your computer or TV at least half an hour ago from your bedtime. Go to bed 2 hours later, after your dinner. Try to practice to sleep in between 10 to 11 pm. Bed and bedroom should be comfortable. It should not be so much cold or hot place and free from noise. Regular exercise is very helpful. Healthy relation with friends and life partner should be maintained. Live a tension free life. Avoid drugs and sleeping pills. After you have tried to maintain all these and if you cannot sleep at night, you have severe health problem. I would suggest you to consult with your doctor. Hopefully you have a wonderful sleep. Go to myHealthcareReviews.com for more articles.